ETITAN Technologies Co., Ltd. is specializing in wireless and IP Communication, dedicating to provide comprehensive VoIP solution to ISP, SME, Enterprises, Telco operators for many years, converged the lastest technology on GSM, 3G, WiFi, SIP etc. 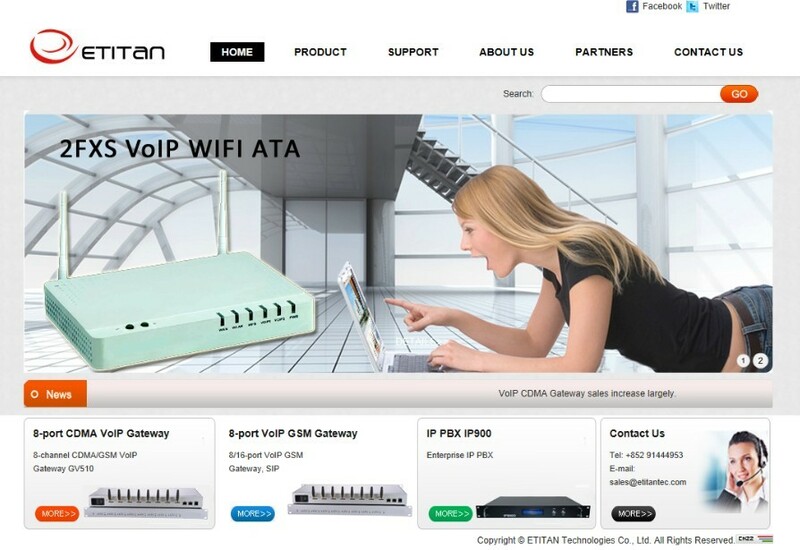 ETITAN team has been continuously integrating and promoting high available, multiple functional, and cost-effective VoIP products, covering IP PBX, VoIP GSM Gateway, Trunking gateway, Analog gateway and IP Phone, WiFi VoIP terminals, aim to seek out best-of-breed technologies and solutions to enhances users' experiences on VoIP. Through combining multiple layers of products and services, ETITAN has successfully deployed its products to more than 80 countries all over the world. With High quality products, Rapid response and Efficient logistic, ETITAN will constantly help its partners’ business growing and winning.